***UPDATE*** Ohana has now been adopted (Lulu is Available). See more info on Lulu below! I am Ohana and this is my sister Honolulu. Our humans call us The Smallies because we are small and there are also some big dogs in the house. Unsurprisingly they are called The Biggies. Inventive gang our humans. Anyway you can call me Hana for short, I’m the little smallie. LuLu is the big smallie. Are you confused? You should be. Can you imagine how tough it is for us to know who the hell the humans are talking to? I’ve no idea who they’re talking about most of the time. Still, they give us treats and I like treats. I’ve learned that if I sit I get treats. LuLu hasn’t figured that one out yet so when we’re doing the sit down game I get all of her treats too. 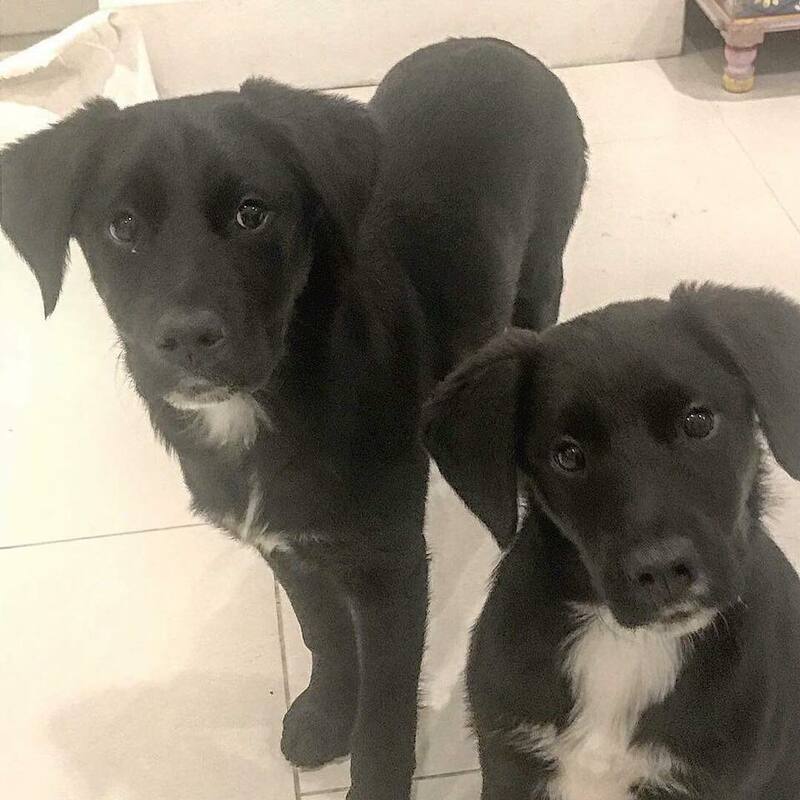 Lulu (Honolulu) is a 5 month old lab-collie cross. She has developed into an adorable, confident, bubbly, affectionate girl since her sister Ohana was adopted recently. Gone are the days when she hides behind her sister in fear! Now she shines in her own right! She loves dogs, big and small. She walks great on a lead and has started toilet training. She greets you with a big warm smile and wraps her big paws around you for cuddles! She would love another dog for company and somebody home most of the day as she is still a puppy!